DePaul University’s animation program has grown considerably in recent years, attracting top talent to the Windy City in the process. With undergraduate (BA and BFA) and graduate (MA and MFA) degree offerings, DePaul’s students explore different animation techniques and styles taught by a large roster of faculty that hails from diverse animation backgrounds themselves. For our latest Spotlight Q&A, we connect with two DePaul animation instructors whose contrasting styles and experience illustrate the program’s breadth and depth. Associate Professor Scott Roberts has been integral to the development of the program. His extensive commercial and artistic portfolio- which includes 3D game art and sculpture- allows him to straddle both DePaul’s Animation and Game Development programs. Veteran Disney animator Brian Ferguson offers his unparalleled insight to students as DePaul’s Animator in Residence instructor. While his work on classics like The Lion King and Beauty and the Beast are unforgettable, it’s his ability to go between classical and 3D animation with ease that has us in awe. We hope you enjoy! (This interview was conducted via phone & has been edited for length & clarity). ACR: DePaul’s animation offerings have flourished in recent years with instructors from all areas of the craft. Scott, how has the program evolved? Scott Roberts: It started small. I began teaching animation in the film and game development programs eleven years ago. Since then, we’ve built the animation program in response to what students want. Initially, it was 3D and CGI focused and had a lot to do with games. As it’s grown, we’re finding that more students are interested in hand drawn animation again. So while we’ve kept an emphasis on the computer side of things, the hand drawn has become a new strength. We support a wide range of animation and that’s a major advantage for students because they often come in not knowing the possibilities. They may think they want to do 3D but then they discover stop motion or experimental and love it. Others may choose to focus on hand drawn but during their 3D courses they use Maya and decide that it’s the route for them. Brian Ferguson: Yeah! From my own personal experience and seeing friends who set out to do one thing and then discovered something else, it’s shown me that playing with things really gives you a different perspective. I loved both animation and zoology but I initially viewed animation as my hobby while zoology was my career choice. After I finished my zoology degree, I wondered what I was going to do with it. I heard about Sheridan College’s animation program and I went for it… the rest is history! ACR: Your work includes both classical and 3D animation, Brian. Were you ever tempted to focus exclusively on one or the other? Brian: When I began my career, computers were just becoming the big thing in animation and people asked me if I’d switch to CG. But I wanted to get hand drawn down first… animation has fundamental principles that I wanted to hone. Eventually, I did move to CG and now my hand drawn is better because of my CG experience not in spite of it. ACR: So CG and hand drawn skills go hand in hand for you? Brian: For sure. When I was strictly doing hand drawn at first, I liked the raw stuff inspired by comics and wasn’t necessarily interested in refining it. But with CG, you are forced to refine it as much as possible and you can get across much more than you can with the rough stuff. As a result, my hand drawn is strengthened from that focus and mindset that I use in CG. Scott: Once you know animation, you can move freely from one form or tool to another. Each method has easier things and things that are more difficult, so it’s about learning those restrictions. ACR: Speaking of tools, how does DePaul’s program keep up with the latest trends and advancements Scott? Scott: It’s tough. Animation is one of the most interesting and challenging areas of education. As animators, you learn constantly throughout your career. We have no idea what the world will be like in five years. Ten years ago, the opportunities in animation were completely different. The same is true of the game industry; it was all about consoles and now it’s all about mobile. If nothing else, animation is a field where you need to be adaptive; very few of us get to do just one type of thing. Animators often go from the arts to commercial work to other expressions. The basics like drawing, storytelling, design, and performance are always constant. Norman McLaren famously said that all animators should learn about dance. You sit down to make a curriculum and come up with a huge laundry list which is hard to trim down. It’s good to learn about many things but we focus on drawing and animation mechanics because it’s a visual communication field and that’s at the core. ACR: Are there rookie mistakes that young animators tend to make which you try to correct in your students? Brian: All the time! I would often think to myself, ‘that looks like student work’ when we received portfolios from job applicants at Disney. Much of the reason stems from new animators relying on clichés. Consequently, a lot of what I focus on with my students is avoiding clichés. Brian: One common cliché is that a lot of animators animate themselves. Not that it’s necessarily a bad thing, but sometimes they draw too much inspiration from themselves. Scott: Students tend to act on animation rather than on life. As Brian says, they rely on clichés. They create caricatures of animation based on what they’ve seen on film and what they think animation looks like. That’s something I try to kick right away with them. I try to get students to go beyond that by eliminating ideas about how someone or something moves and look at the reality of it instead. I teach an animation mechanics class and so much of it is getting students to shed the ideas of what a certain act looks like animated and actually watch someone perform that action. ACR: So animating from observation becomes a powerful teaching tool. How about critique? Scott: It’s central. Often, students’ tendency in a critique is to focus on their own work but I remind them to view everyone’s work in the class and be very critical of that. That way, they gain experience so that they can troubleshoot their own work by noticing when something isn’t quite right, examine it frame by frame to find it, and fix it. The critique process teaches them that. Brian: Critique is so important. In my own work, I’ve found that I may view something one way for years until someone points out what it lacks and I see the light! Just telling students to be teachable is only one part of the process; I like having them go through a sweatbox critique experience where they work in front of everyone and see how it can be a positive thing for their work. ACR: Do either of you notice a significant difference in the quality of student work today compared to in years past? Brian: Comparing my own student days to the students I teach here at DePaul, I think the standards are much higher today. Of course, there is a broad spectrum out there but a lot of students come to school with much more exposure to animation and it shows in their work. They’re at a more sophisticated level now which certainly helps in terms of teaching them. Scott: From a program standpoint, it’s hard to compare our students today with those that I had ten years ago; as our reputation has grown, we attract students who are much more prepared. They want to challenge themselves. Their drawing skills are incredible. Most of them are already animating when they come in as freshmen, and that includes Maya. It’s much more enjoyable from a teaching standpoint given that we can spend a lot more time on the real animating stuff. ACR: Some of your students take advantage of a very unique internship opportunity in L.A. Tell us a little about it. Scott: We have what’s called the L.A. Quarter. Animation students apply to spend three months in Los Angeles where they take classes on a studio lot and have internships. They get great opportunities at studios including Nikelodeon, Disney, Sony and DreamWorks. It really enables them to experience firsthand working in the industry. Scott: We’re lucky to bring a wide variety of visiting artists to DePaul. I think the biggest ever was (acclaimed Russian animator) Yuriy Norstein. We were so fortunate to have him here. He brought some of his puppets and did live animation as we all watched, mesmerized. Recently we had 3 Pixar artists visit us. In the past we’ve had stop motion artists and Disney animators here, too. Another great opportunity coming up is a series of free, open to the public masterclasses that Brian is giving which begin in January 2016. We’re especially hoping to see some high school students come out who are interested in animation. I would advise following our Facebook page for more info on that. ACR: Terrific stuff all around. Before I let you both go, what do you most enjoy about your work at DePaul? Brian: I have people who want to learn something that I’m passionate about, so it’s sharing that passion. Being able to see students catch on to things is also very gratifying. 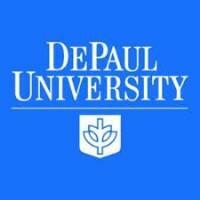 I also have to say, after spending years in LA, I love being here at DePaul in Chicago… I missed the seasons! It’s an exciting place to be. Scott: For me, I think it comes down to the colleagues and what we’ve built here. I went to school at a time when only a handful of animation programs existed and I didn’t have the option of studying at one of them. So for many years it was a dream of mine to create a great animation program. I can’t believe what we’ve been able to do here. Josh Jones (Assoc. Professor, animator) was fundamental to creating this program. We’ve attracted amazingly talented working instructors including Brian, Amy Lockhart, Alexander Stewart and so many others with varying interests in the field. Working with them daily never gets tiring. Everybody loves what they do…. we don’t have a challenge of motivation. That’s one of the things that makes it so rewarding. ACR: Brian and Scott, thank you both for your time today. It was a pleasure!